Our ever so popular Hessian Blooms has gone all sweet and romantic for Valentine's Day. You can't go wrong with this choice! 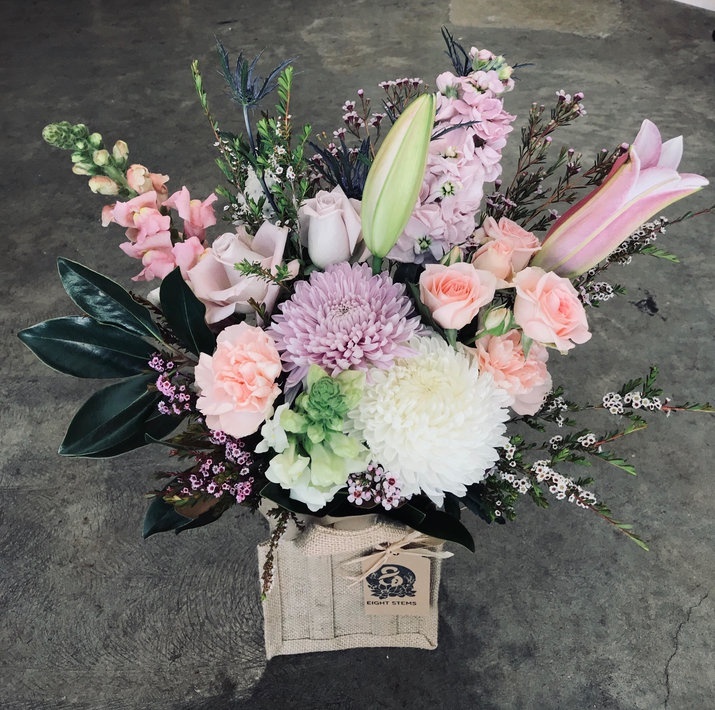 Beautiful blooms arranged in a glass mason jar presented in a cute hessian bag will be that perfect gift for that special someone. Choose from two colour choices, sweet in pretty pastels or romantic with a pop of red.